All the hits from Motown plus a few soul greats and Christmas numbers thrown in to smash the party. A wonderful trio of girlies, with the all important Beehives and bright red trim. Everyone but everyone loves Motown and Soul and what a show this is. With hits from the Supremes, Ike & Tina Turner, mixed with some Martha and the Vandellas, and their take on hits from The Temptations and The Four Tops. 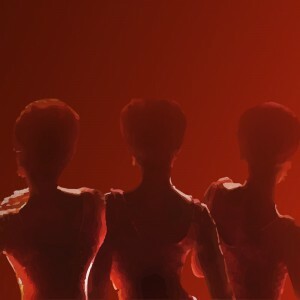 With a name like the Motown Sisters the main bulk of the set is the Tamla Motown sound but the girls bring in a few different hits from the same era to get everybody up and grooving! This is one of our most popular groups throughout the year and they are here now to brighten up your Christmas Party! Includes drinks all standard bar spirits (e.g. Smirnoff, Bacardi etc, liqueurs), house wines (Pinot Gregio, Merlot, Zinfandel Blush etc), beers and ciders, (excludes shots, Prosecco and non-pouring spirits and liqueurs) terms and conditions apply – 3 course festive meal and Disco ’till late.